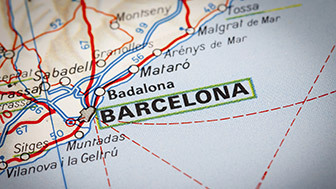 Bounded by Andorra, France, Aragón, Valencia and the Mediterranean sea, Catalonia is a paradise blessed with mountains and the sea: boasting 580 km of coast as well as the Pyrenees and pre-Pyrenees, the Catalan Transversal Range and the Catalan Central Depression. This combination brings the city an enviable climate during winter and summer alike. Made up by the provinces of Barcelona, Girona, Lleida and Tarragona, it has a population of over 7.5 million throughout its territory. 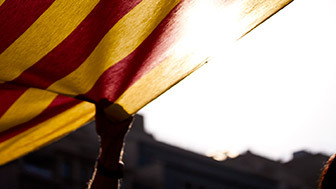 As a nation full of history, it has its own official language, Catalan (besides its other official language, Spanish) as well as well-established institutions, culture and traditions. And as the main economic power in the Spanish State and a magnet for foreign capital, it stands out in particular for its car industry, its food industry and its new-technologies industry, though its services sector is the most productive of all. Once you're over here, it will not be long before you discover the Pyrenees, explore the Costa Brava, visit Montserrat and Figueres and find yourself smitten with the Ebro Delta... You'll have to discover it all for yourself.